Provide comfort for the family of Reverend Gene McCornack with a meaningful gesture of sympathy. Reverend Gene Leroy McCornack, resident of Sterling Heights, died peacefully surrounded by the love of his family February 12, 2019. He was 91 years of age. Gene fought a courageous battle and has now won victory with his Lord and Savior. 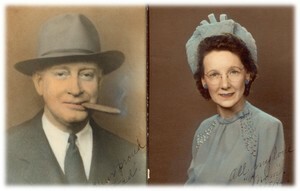 Gene was born on June 19, 1927 in Oklahoma City, Oklahoma, son of the late Roy and Bernice (Mell) McCornack. He joined the Army Air Corps and after he accepted his discharge, he joined the U.S. Navy. After serving our country honorably, Gene moved back home and went to Oklahoma City University. He sang in the choir, played in the band and enjoyed the social life of College. A vocational guidance test indicated he might do well as a religious leader, so Gene decided to follow his interest in the church, which he considered to be his family. Gene enrolled at Chicago Theological Seminary in September of 1949. He was a student associate Minister with Rev. Dr. Philip W. Sarles of Roger's Park Congregational Church from 1949- 1950 and found his way to Detroit, Michigan in 1954 as the Associate Minister of C.E. and Youth Minister at Mayflower Congregational UCC for four years. Gene then headed out west to Colorado, where he ministered for 11 years. In 1969 he moved back to Detroit and ministered at Mayflower Congregational UCC, St.John-St. Luke, St. Paul, in Saline, Faith, and Peace until making his home at Faith-Trinity United Church of Christ in Warren for the last 20 years of his 45 years of Ordained Ministry. Gene loved to sing and he sang his way through life while loving and praising the Lord. He had a great journey of preaching the Word and loved the everyday opportunities to do counseling, visiting the sick, baptizing, marrying and celebrating lives. He had a passion for peace and justice for all. He helped organize Macomb County Habitat for Humanity and Interfaith Volunteer Caregivers. He also served on the Board in the media unit of Metropolitan Christian Council: Detroit-Windsor. Outside of staying active with the church and community, he enjoyed bowling and pinochle. 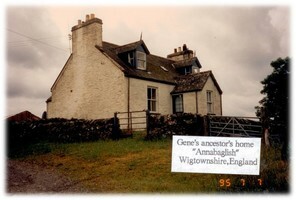 Gene loved his family and dedicated his life to them. He lived his life with love and purpose. Gene led by example. He is the devoted husband of Mariann; dearest father of James (Karen) McCornack, Robert (Marjorie) McCornack, Steven McCornack, David and Wesley Hoffman; cherished grandfather of Jerimy (Kristy), Lindsey (Ed), Laura (Andy); beloved great grandfather of Mia, Noah, Owen, Hunter, Ashlynn, Xavier, Brooklyn and one on the way; and former wife Barbara. Gene will be greatly missed and the love and compassion he extended was truly a blessing to all. A Memorial Service will be held at Hope United Church of Christ 35127 Garfield Rd, Clinton Twp, MI 48035, on Saturday, May 18, 2019 at 11am with a gathering starting at 10am. Immediately following the Memorial Service, a luncheon will be held at the Infinity Hall,16650 E. 14 Mile Road (and Utica Road), Fraser, MI 48026. RSVP for Lunch to Hope UCC: (586) 296-8760. Expressions of sympathy may be sent to Mrs. Mariann McCornack, 14750 Lakeside Circle, Apt. 112, Sterling Heights, MI 48313. In lieu of flowers, donations may be made in memory of Rev. Gene McCornack to: (1) Interfaith Volunteer Caregivers (IVC), 8075 Ritter, Center Line, MI 48015; (2) Metropolitan Christian Council: Detroit-Windsor (MCC), 29425 Northwestern Highway, Suite 150, Southfield, MI 48034; or (3) Macomb County Habitat for Humanity, 34950 Little Mack Ave, Clinton Township, MI 48035..
To send flowers in memory of Reverend Gene Leroy McCornack, please visit our Heartfelt Sympathies Store. Hope United Church of Christ.. Please call the church at 586-296-8760 if you plan on attending. Donations are being accepted for: MACOMB COUNTY INTERFAITH VOLUNTEER CAREGIVERS. We encourage you to share your most beloved memories of Reverend Gene here, so that the family and other loved ones can always see it. You can upload cherished photographs, or share your favorite stories, and can even comment on those shared by others. Provide comfort for the family of Reverend Gene Leroy McCornack by sending flowers. Gene was a true minister. He was always there for my family during good and bad times. He just had a special twinkle in his eye, and when he talked to you it was genuine. He was a lovely man and we will all miss him.